Easy to get to, safe and familiar, with year-round walking weather and routes that vary from easy peasy to tough as nails, the Canary Islands offer some of the best walking in Europe. 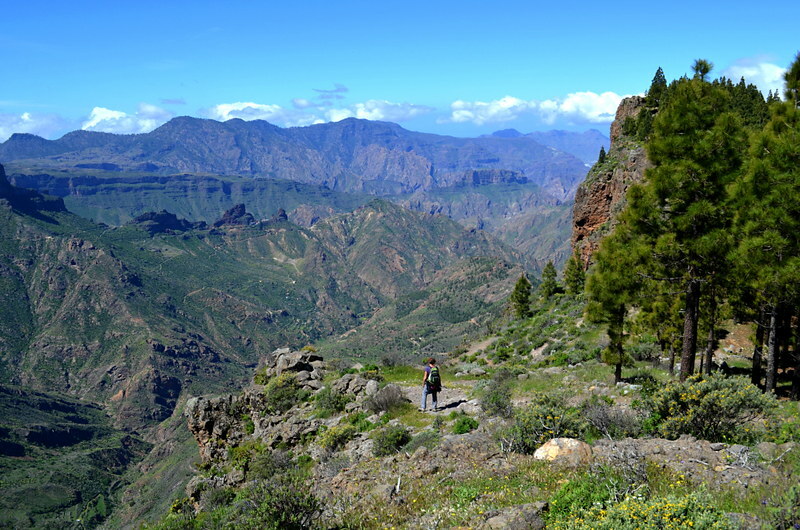 The hiking cognoscenti have been toiling up and down barrancos on La Gomera, La Palma and Gran Canaria for decades but few of even the most avid of Canary Island walkers are likely to have laced up their boots on every island. Those who have, know just how diverse these islands can be. 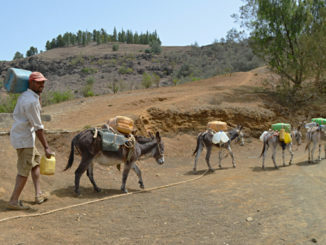 They may be a single archipelago, but in walking terms, the Canary Islands differ from each other enormously, not only in terms of their landscapes and what the overall experience is like, but also in how they maintain their paths and the facilities they provide for those who would rather be treading their trails than basking on their beaches. 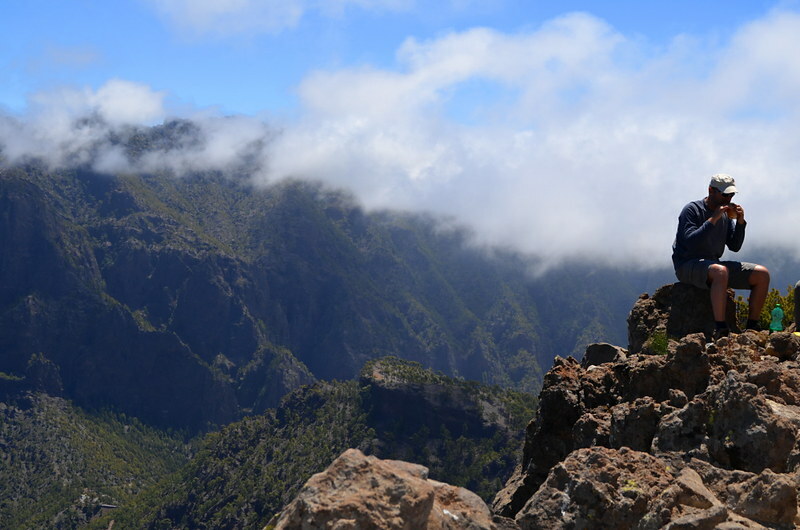 Long the darling of the Canaries in walking terms, La Gomera has resisted the allure of mass tourism in favour of maintaining her beauty and, as a result, has been a magnet for German hikers for decades. Her paths are beautifully maintained, efficiently signposted and take you to the most remote and beautiful parts of the island. Walking on this island is intermittently akin to traversing the rain forests of Brazil, ascending the mountains of Morocco, and strolling the Sierras of Spain. Not for the faint hearted, her terrain is unforgiving, with steep ascents and descents, giddy ridges and ancient cobbled paths that play havoc with the knee joints. But the reward for all that toil is superb walking in unspoilt, verdant glory and a robust rural tourism economy geared towards hikers. 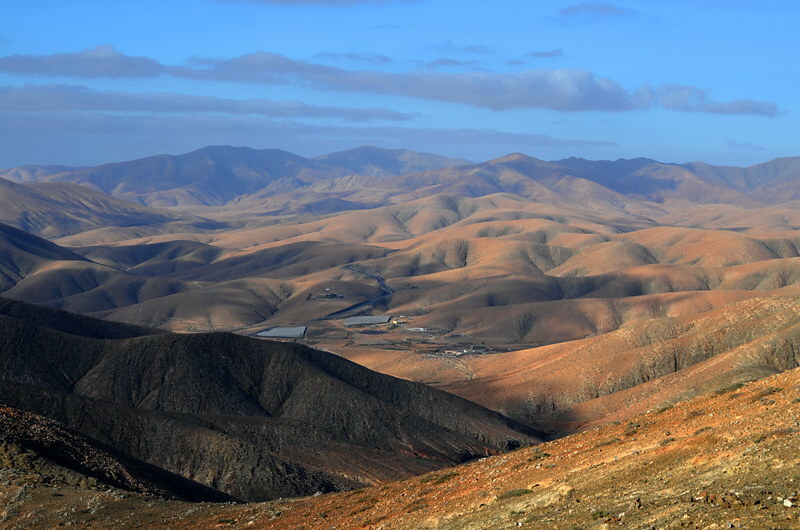 Not the most spectacular individual routes in the Canaries, but the most consistently excellent walking of any island. 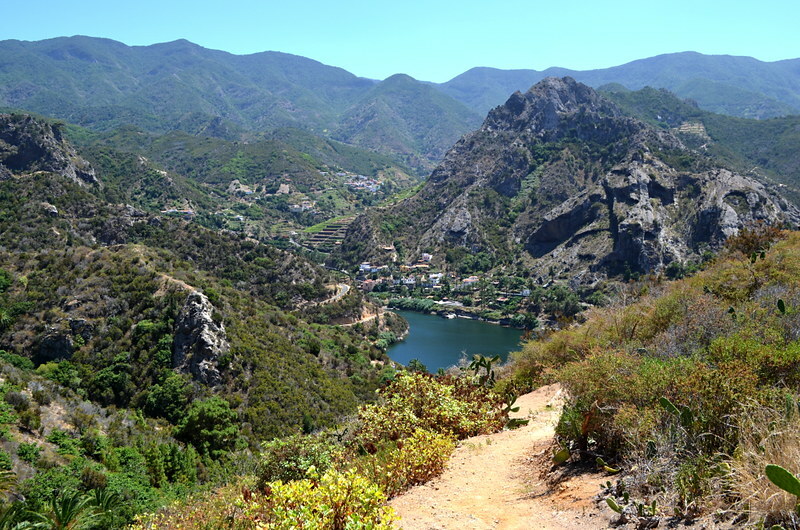 Getting there: Fly to Tenerife South airport and pick up a ferry from Los Cristianos to San Sebastian where you can then catch a bus to Hermigua, Vallehermoso or Playa Santiago for the best walking. Managing to achieve a modicum of balance between resort and rural tourism, albeit somewhat weighted in favour of the beach brigade, Gran Canaria often sells itself as a ‘continent in miniature’. It’s a nomenclature that only rings true if your exploration of the island ventures into the mountains where you witness landscapes at times reminiscent of Canada, frequently alpine and always sub-tropical. With no major peak to steal the spotlight, walking here feels wide open; views stretch across the interior to Tenerife’s Mount Teide, ever present on the horizon; and clouds and mists descend and evaporate like watching timelapse in real time. Gran Canaria’s rural hamlets are prettier than those of any other island and it’s blessed with a plethora of stylish and comfortable rural accommodation. Paths are well waymarked but sometimes poorly maintained and the routes are some of the most spectacular in the Canaries. 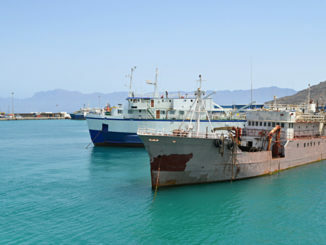 Getting there: Budget airlines operate frequently from across the UK but island transport connections into the mountains are weak as most passengers head to the beach. Taxi or private transfer to Tunte, Tejeda/Cruz de Tejeda or Agaete for the best walking. 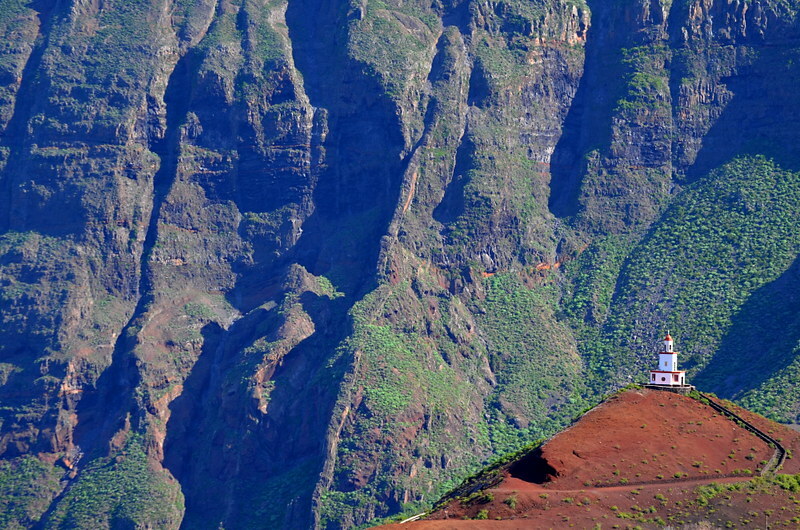 Like La Gomera, La Palma has remained beyond the clutches of mass tourism but has also retained a strong sense of her own importance and a level of sophistication not seen in the smaller islands, both remnants of her glorious past. The walking on La Palma is some of the best in the Canaries, dominated by three extraordinary environments; Caldera de Taburiente, one of the largest erosion craters on the planet; Los Tilos biosphere which is like stepping into the dawn of time; and the Ruta de Los Volcanes which follows a trail of volcanic destruction that has created some of the youngest land in Spain. Some routes are poorly waymarked involving an element of route finding, others are well used and busy year-round. Rural accommodation is plentiful in terms of characterful cottages but the rural hotel scene is woefully inadequate with a car essential for getting to many routes. Getting there: unless you’re travelling from London, you have to fly via Tenerife. Drive to Los Llanos, Puntagorda, Fuencaliente or Puntallana for the best walking. Tenerife has the most varied walking terrain in the archipelago, taking you from alpine volcanic to sub-tropical coastal with pine forests, rugged mountain ranges and dense rainforest in between. As the island is still relatively unknown for its walking, you’re unlikely to find paths busy except ones near the major resort areas. As challenging or relaxing as you choose, walk above the clouds, in the depths of abyssal ravines or in dappled woodland along ancient merchant routes which are well marked and, on the whole, well maintained. Walking in the centre of the island is dominated by Teide National Park and offers endless volcanic trails plus the challenge of scaling the volcano itself. 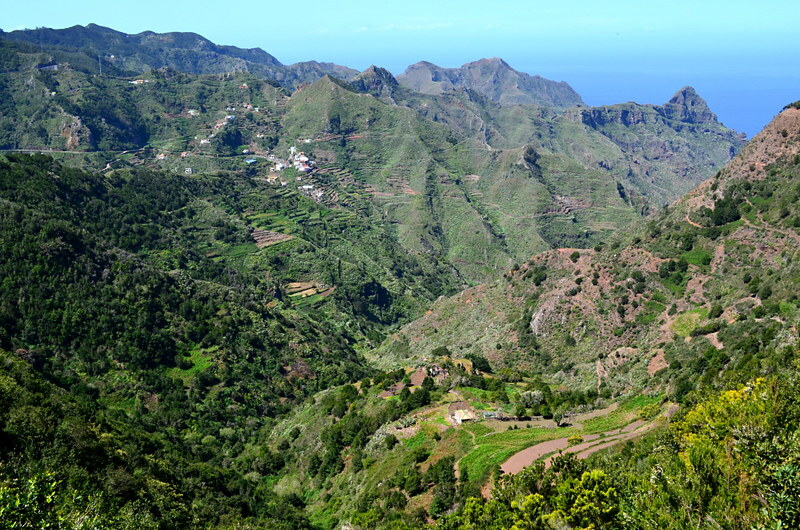 Head to the Anaga Mountains and you’ll leave every vestige of mass tourism far behind. The best tourism infrastructure of any island ensures a plethora of rural accommodation and amenities. Getting there: Budget airlines operate frequently from across the UK and an efficient island transport system can take you onwards. Puerto de la Cruz, La Orotava, La Laguna and Santiago del Teide give access to the best walking. 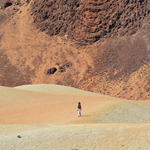 Possibly our least favourite island for walking due to the lack of variety, walking on Lanzarote is all about volcanoes although ironically, walking in Timanfaya National Park which covers vast swathes of its interior, is only allowed under guided supervision. Closed shoes are essential if you don’t want constant stones underfoot. Lanzarote is also a very low island so there’s nothing to challenge seasoned hikers, the only strenuous route is if you climb Famara cliffs for panoramic views over La Graciosa. Talking of which…if you want to escape the lava, head to this unspoilt paradise of an island, a 30min boat ride away, for white powder sand and clear, turquoise seas. On the plus side, we love its monochrome, unpolluted landscapes and its sustainability ethos. Good infrastructure, great roads and a decent bus service make getting around relatively easy but you’ll need a car to access many routes. Getting there: Budget airlines operate frequently from across the UK and an efficient island transport system can take you onwards. Yaiza is a nice place to base yourself and gives access everywhere within an hour’s drive. Smallest, most remote and least changed by tourism, little El Hierro is something of a walker’s paradise yet, amazingly, is still far below the radar of all but the most avid of hikers. Once considered the very edge of the world, this island oozes mystery and magic in landscapes that morph from cloud enshrined, ancient peaks and emerald meadows lined by dry stone walls and populated by long haired sheep, to ghostly Sabine trees bent double in the wind, and valleys carpeted in the spiked heads of pineapples. Lose the rest of the world and find your hiking soul on trails that are as well marked as any in Spain, and that challenge and reward in equal measure. You’ll need a good head for heights, sturdy boots, and a car to get the best from the island. Getting there: Fly to Tenerife Sth and either pick up the 3hr ferry from Los Cristianos or transfer to Tenerife North airport for a 40min flight. La Frontera and Tigaday are good bases but the island’s small enough for it not to matter much. 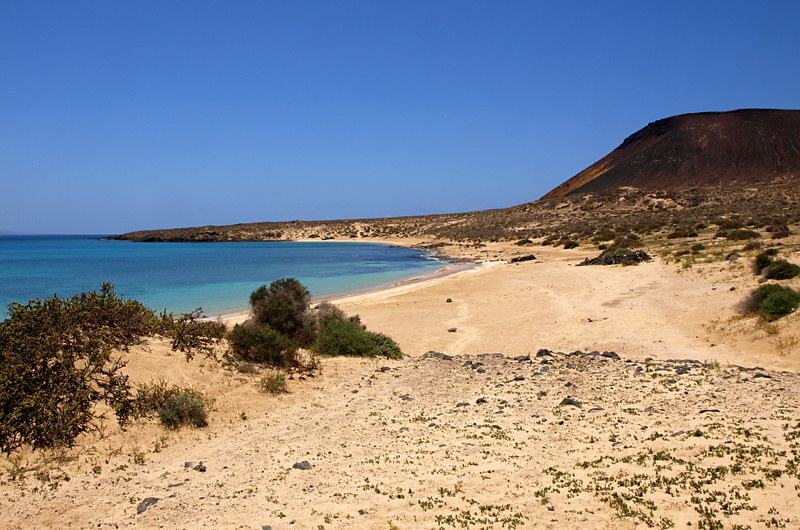 Walking on Fuertaventura is like walking on the Biblical plains of Africa. Red earth paths traverse stark, arid landscapes peppered in windmills, coated in aloe vera, and populated by Barbary squirrels and infinite goats. Devoid of all but a few, hidden oases of green, this fascinating island is the least ready to receive walkers, its rural infrastructure being the wrong side of woeful, but its hidden treasures are worth the hard work. Far from the all-over tan seekers and wave riders, great reservoirs hosting flocks of African birdlife lie sequestered behind granite dams; secret palm groves flourish, tucked into the base of ravines; and subterranean caves contain the secrets of the Earth’s evolution. The walking isn’t challenging, trails are well marked and there are constant surprises lying in wait. You’ll probably also be entirely on your own much of the time. Getting there: Budget airlines operate frequently from across the UK. Public transport is hopeless for anywhere other than the resorts so you’ll need a car. 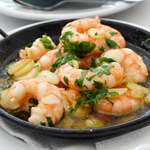 Base yourself in La Oliva, Pájara or Lájares to avoid the crowds.